Brines are not just for thanksgiving turkey anymore. 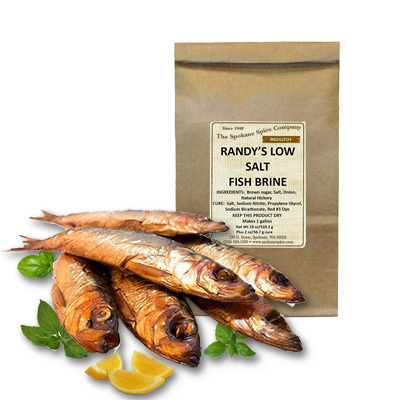 Use Randy's Fish Brine for your smoked fish to give the meat true tasty flavor. Using this smoked fish brine will help keep the delicate meat of the fish from drying out while smoking and work delicious seasonings past the skin and into the tender flakes of the fish. This package will make on gallon of fish brine. Also makes an excellent brine for smoked turkey!